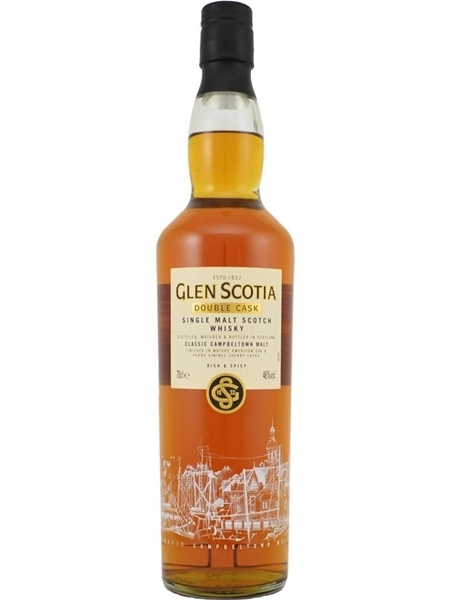 Glen Scotia distillery was founed in 1832 and is one of only 3 distilleries located in Campbeltown. They produce both peated and unpeated single malt. This particular release, the double cask, was matured in first-fill ex-bourbon barrels and finished in ex-PX sherry casks. It's non-chill filtered and bottled at 46% ABV.